Seagate has announced the world’s largest desktop hard drive storage capacity of 1.5TB which is called as Barracuda 7200.11 1.5TB. Seagate also expected the capacity of hard drive will hit 2.5TB by the year 2009. Seagate also claim that this is the largest increase in storage capacity in the last 50-years and 500GB increase in capacity since the release of 1TB hard drive by June 2007. The new 1.5TB drive are able to spins at 7200 rpm, uses fours platters to reach the massive 1.5TB capacity and it supports the standard functions in Barracuda series such as perpendicular recording. This new 1.5TB drive is using the improved perpendicular magnetic recording technology. The users can options for both 16MB and 32MB of cache. Beside 3.5 inch 1.5TB desktop hard drive, Seagate also announced new 500GB 2.5 inch hard drive for use in laptop. 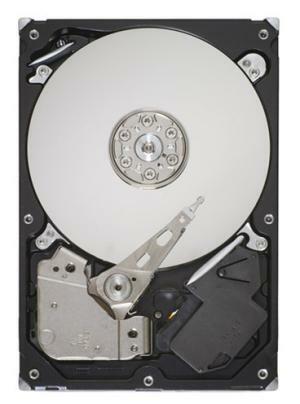 There have 2 spin speeds available in 500GB 2.5 inch hard drive, 5400 rpm and 7200 rpm. The drives are kwon as Momentus 5400.6 and Momentus 7200.4 Hard Drive. The 5400 rpm drive is built with 8MB cache and 7200 rpm with 16MB cache. Both drives are expected to start shipping by next month.